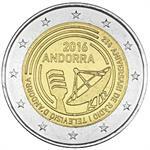 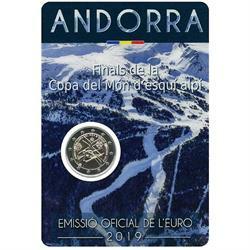 Home > sports > other sports > 2019 Andorra €2 BU Coin "Alpine Skiing World Cup Finals"
The Finals of the FIS Alpine Skiing World Cup was held in Andorra - for the very first time - in 2019, on the slopes of the Grandvalira resort. The world's top alpine skiers competed from March 11-17 in the Finals of the 2019 World Cup the following disciplines: slalom, giant slalom, super-G and downhill, in both the men and women's categories. 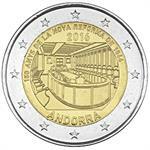 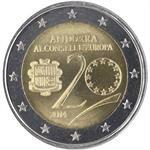 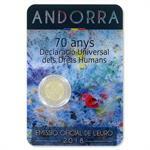 2018 Andorra €2 BU Coin "Universal Declaration of Human Rights 70 Years"